A place where indie and small press authors can have their moment in the spotlight! Tam May was born in Israel but grew up in the United States. She earned her B.A. and M.A degrees in English and worked as an English college instructor and EFL (English as a Foreign Language) teacher before she became a full-time writer. She started writing when she was 14 and writing became her voice. She writes psychological fiction, exploring characters’ emotional realities informed by past experiences, dreams, feelings, fantasies, nightmares, imagination, and self-analysis. Her first work, a short story collection titled Gnarled Bones And Other Stories was published in January 2017. She is currently working on a novella series called the Waxwood Series. Set in a Northern California resort town, the series explores the crumbling relationships among the wealthy San Francisco Alderdice family. Book 1, The Order of Actaeon, will be released on January 18, 2017. In the book, the Alderdice family son and heir falls into the hands of a charismatic older man obsessed with power and leadership during a summer vacation in the resort town of Waxwood. The second book, The Claustrophobic Heart, brings in Gena Flax, a young woman who must cope with the mental deterioration of her aunt during their summer stay at Waxwood. In the last book of the series, Dandelion Children, Daisy, the daughter of the Alderdice family is drawn into the disturbed life of the man who ruined her brother during one rainy summer in Waxwood. She is also working on another book, House of Masks, about a woman who is mourning the death of her father and gets drawn into the lives of her two neighbors, one eccentric and one embittered. She lives in Texas but calls San Francisco and the Bay Area home. When she’s not writing, she’s reading classic literature and watching classic films. To keep updated on Tam May’s current projects, giveaways, promos, and blog posts, as well as receive a free gift, sign up for her newsletter. You can also join Tam’s Dreamers Reading Group, for a chance to chat with others about books and opportunities to read advanced review copies of Tam May’s books, as well as special promotions and giveaways. Get a Free Exclusive Short Story! Jake is the heir of the prominent Alderdice family in San Francisco. Although dearly loved by his sister Vivian, his passion for art and his contemplative temperament make him a pariah in the eyes of his tyrannical mother Larissa. When the Alderdices spend their yearly summer vacation in the prominent resort town of Waxwood, Jake meets Stevens, a charismatic older man. Stevens’ paternal authority and obsession for power and leadership fits into Larissa’s idea of manhood. Jake develops a hero worship for Stevens who in turn is intrigued by Jake’s artistic talent and philosophical nature. 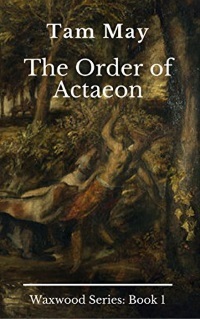 Stevens introduces him to the Order Of Actaeon, a group of misanthropes who have rejected commercial and conventional luxuries for a “pure” life in the woods. But behind the potent charms of his new friend and seductive simplicity of the Actaeon lifestyle lies something brutal and sinister that Jake could not have anticipated. “I’d like to meet Jake and Vivian’s father,” Stevens said. “Will he be coming down here some time this summer?” Jake gave him a stony glance. He was sure Stevens remembered what he had told him about Raymond. There was a few minutes silence while Jake felt they were all trying to think of how to respond without lighting the fire of shame to the Alderdice name. Larissa’s face darkened with the mark of her rage and she pushed the empty cocktail glass away from her a little too savagely, making it tumble to the grass. Jake quickly picked it up and set it gently on the table. “I’m sorry. I shouldn’t have asked.” Stevens’ head tipped just enough to show humility but not so his eyes were totally hidden. “That’s enough, Vivian,” Larissa snapped. “Explain it, then.” Vivian leaned forward. “Viv, I don’t think — “Jake began. “I must admit, you have me curious,” said Larissa. Stevens smiled then. It was the smile of the Cheshire cat, hanging solitary but mystifying. “I’m not sure I understand,” said Larissa. “Taboos aren’t as neatly categorized,” he explained. “You mean you can sleep with your father or mother and not be damned?” asked Vivian. “Don’t be disgusting,” Larissa said with a wince. Click here to read the full excerpt! Thank you so much, Renee!!! :-). Thanks for reading! I hope you will show your support to these indie authors. Please leave a comment! It’s pretty safe to say that every author has a goal of selling more books. That seems logical at first glance. What isn’t always readily apparent is what steps are needed to reach that goal. Here at BreakThrough Promotions, we’re ready, willing and experienced at helping authors determine and meet specific goals. Why not review our packages and find one that meets your needs? If you’re looking for something that’s not listed, contact me and see if we can include it in a package specially designed for you! Get Shadow Stalker Part 1 (Episodes 1 - 6) and Shadow Stalker Part 2 (Episodes 7 - 12) free! 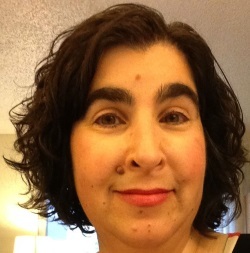 My name is Renee Scattergood, and I'm an indie author who specializes in writing dark fantasy. You can read more about me on my website Renee Writes. I started this blog because I know how hard it is to get noticed as an indie or small press author. People generally have a hard time getting into a new author, so I hope that having a place to showcase your work will help you get a start. If you're a writer, visit the Get Featured page for information on how you can get your own Author Spotlight. If you're a reader, I hope you will browse these pages and support the authors within them! You can show your support by buying their books, writing reviews and posting them on relevant sites (such as Amazon and Goodreads) as well as your own blog (if you have one), and you can help spread the word by sharing these Author Spotlights on your social media sites. Disclaimer: I am not personally endorsing any of these authors or their books (unless I've written a review and stated it). Some of them I have read, but others I have not. This blog is solely a way for authors to get their information out to the readers. Also, I do use affiliate codes on this site. This is my book fund. The money I make goes towards supporting my fellow indie authors by allowing me to purchase their books! Awesomegang: Where Awesome Readers Meet Awesome Writers!